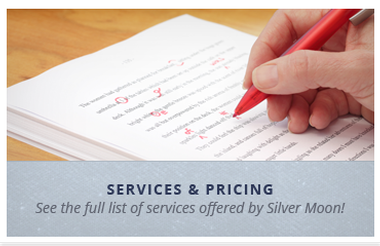 Silver Moon Editing® offers a full menu of services to assist authors with editing at various levels. Whether you need assistance in refining a work of fiction or technical expertise for a formal document, any piece of writing often requires the support of a professional editor to ensure the end product is incredibly polished and ready for publication. Prices quoted at the end of each service provide a ballpark estimate for what you can potentially expect to pay. Please contact me to request an estimate for your specific project. If requested, I'm happy to provide one free sample edit of up to 1500 words to help you determine if my editing style will be a good fit for you. Manuscript Critiques are also available. Unless otherwise requested, the main reference sources I use are the Chicago Manual of Style, 17th Edition and Merriam-Webster’s Collegiate Dictionary, Eleventh Edition. I also use the Merriam-Webster.com Dictionary which is based on the Collegiate Dictionary, but is updated regularly to provide the most up-to-date information. If you require an alternate style manual, or if the business or organization you publish with has their own style manual you need to follow, I can likely accommodate your needs. I will polish your manuscript and remedy issues regarding spelling, grammar, word usage, punctuation, dialogue structure, and overall consistency. 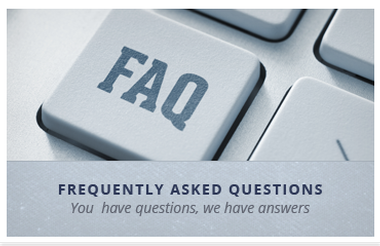 Verification of hyperlinks and basic fact-checking is included. A custom style sheet will be created for your use and reference. This service will only provide the aforementioned edits to the content as it is currently written; this level of editing will not include recommendations for overall sentence, paragraph and/or document content and structure. If you need this more extensive edit, please refer to the Level 2 service described below. This is a more comprehensive edit. In addition to resolving spelling, grammar, word usage, punctuation, dialogue structure, and overall consistency issues, I will complete a thorough assessment of the sentence, paragraph and document structure that includes edits and recommendations to improve the overall clarity and readability of the manuscript while retaining your voice, tone, and intention. Basic fact-checking is included. The Reference list (or Works Cited list) & corresponding In-Text Citations, or the Bibliography and corresponding Footnotes and/or Endnotes will be cross-referenced, edited, and formatted for accuracy and consistency according to CMOS, or the agreed upon style manual. A custom style sheet will be created for your use and reference. If you are comfortable with your manuscript, but would like your References or Bibliography and the corresponding In-Text Citations or Footnotes and Endnotes edited, this Reference Edit is for you. All entries will be reviewed, edited, and formatted for accuracy and consistency according to CMOS, or the agreed upon style manual. Price: The cost of a Reference Edit depends on the number of references and in-text citations. Contact me for an estimate! A Developmental Edit examines all components of a manuscript and how they work together to craft a story that draws the reader in from the beginning and grips their interest until the very end. I will thoroughly assess all components of your manuscript and will look for opportunities to bolster the main storyline by adding depth to the characters’ development, plot, theme, and overall story arc, thus improving the reader's experience. The Developmental Edit does not include mechanical edits provided for in a copy edit. However, should you wish for me to provide a copy edit upon completion of the Developmental Edit process, a discount will be offered on the Copyediting service. I will provide a written critique of the manuscript that will include an evaluation of each chapter and an assessment for each individual character. This service can be customized to address only the specific elements you are concerned with. While Retaining Your Voice and Refining Your Prose®, the completion of the developmental editing process will leave an author with a well-organized manuscript, delivered in a voice, tone, and style suitable for the intended audience. Characters, scenes, transitions, and dialogue will progress from one to the next in a smooth and logical manner. It is important to understand that as the editor, I am not acting as a ghostwriter during this edit. I will not be writing or rewriting any of the content, as that should still come from you, the author. However, I will provide you with suggestions and guidance on how to do so in a manner that will complement your manuscript and blend with your own voice and tone. Sometimes authors begin writing a book with every intention it is the first of a future series. Other times, it is only after the first book is finished that the author realizes there is more of the story to tell. Or, perhaps the author has already written two or three books of a series and they decide to extend the series even further. Whether you are writing the first book or have already started the succeeding installments, investing in a Series Bible will help you maintain consistency and accuracy throughout the narrative. For example, in book one, the main character's name is Diana and she is twenty-seven years old with blonde hair. By the time you write book three, a year and half later, you've accidentally changed her name to Deanna, she is now only 26, and she has short dark hair. These may seem like details you think you will not forget or mistakenly change, but when you begin writing additional books and creating new characters, it will be hard to remember each character, location, or scene description you previously created. And, don't think your readers won’t notice! They will certainly catch on when these seemingly small details change midbook or midseries. When this happens, readers get confused, discouraged, annoyed, and might lose interest in your book. Their frustration may also cause them to ignore future books by the same author which would result in a decline in book sales. Having a manuscript plagued with inconsistencies is completely avoidable if you have a Series Bible. This is where I can help you. I will create a Series Bible—a comprehensive dossier of all the details you have attributed to your characters and their physical descriptions, backgrounds, and personality traits, and to your locations, scene descriptions, dates, timelines, family trees, friendship trees, likes, dislikes, custom languages, and whatever else you have written about and described. Having a Series Bible will allow you to refer back to it when you are writing future books. Do you think J.K. Rowling remembered all the details for the characters, places, spells, and locations while she was writing the seven Harry Potter books—over 4,000 pages?! She had her own "bible" of sorts (or so I've read), but it is my understanding it was hand-written. As it is a tedious process to build an accurate and comprehensive Series Bible, let me concentrate on this while you focus your valuable time on the story development. Your Series Bible will be delivered to you electronically in the agreed upon format. If more than a single book is included in the Bible, the details will be color coded so you can easily identify which book in the series the details were first introduced. Should you also hire me to do the Substantive/Line Edit on the next book in your series, I'll provide a discount on that edit. Book or Series Bible Price: Estimated .015¢ to .035¢ per word, subject to review and depending on document size. When you hire Silver Moon Editing® to complete a Manuscript Critique, I will be a fresh set of eyes that reads and critiques your manuscript from the perspective of your target audience and I'll provide you with a written assessment upon completion. Typically, this process takes place after your manuscript has been through a developmental and line edit, and sometimes even a copy edit. I will provide comments in a written assessment which examines elements such as the overall impression of the manuscript, characters, plot, conflict, theme, pacing, timeline, and tone. Additionally, I will let you know if something is confusing, hard to follow, or does not capture and keep the reader’s attention. If there are specific concerns you have about your manuscript, I can focus on those as well. Remember, this feedback is not a structural or developmental edit and it is not a copy edit. The feedback does not include rewrites or edits, but I will offer suggestions to remedy any issues that I feel need attention. To benefit most from a Manuscript Critique, it is important that as the author you are prepared to receive honest and open feedback. This can be difficult especially after you have devoted so much time, thought, and life-blood into developing your manuscript. It may be painful to hear negative feedback, but ultimately, if it helps make your book better, it is worth it! When preparing the written assessment for your manuscript, I make it a priority to convey all feedback, in a respectful manner. I understand the emotional and professional attachment you have to your work and will do all I can to help you make your manuscript the best it can be before you self-publish it or begin to market it to literary agents. 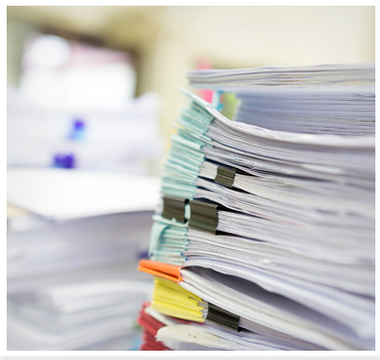 If your manuscript needs to be proofed prior to publication, I will compare the final draft of a manuscript to a version that has been reproduced (or typeset) in preparation for publication. Upon agreement for this service, I will accurately compare the two documents to be sure no typos remain in the final draft and no new typos were created in the proof document. Any additions or omissions of text and grammatical/spelling errors will be noted (not corrected), page numbers will be checked, and formatting (size and type of font, paragraph indentions, etc.) will be reviewed for consistency. All deviations will be recorded in a custom style sheet I will create for your use and reference. This Proofread & Polish Service is perfect if your manuscript has already been edited and you consider it to be a final draft which only needs a finishing evaluation to rectify any erroneous errors—misspelled words will be corrected and sentence fragments or punctuation errors will be highlighted and noted with a comment, but will not be corrected as this is not a copy edit. Light fact-checking is included. I will create a custom style sheet for your use and reference. Note: Silver Moon Editing® is not accepting Indexing projects during the months of January–August 2019. Why is an index necessary? An index provides the reader with a quick guide—a roadmap of sorts—of where to find specific references within a larger document or book. Instead of spending valuable time browsing page by page for what you’re searching for, you can flip to the index, find the reference you need, and quickly go to the correct page. A good index needs to be comprehensive, designed with the target audience in mind, and should be organized in a logical manner. To create an index, I will review the manuscript or document and key words and phrases will be carefully selected (with consideration of the target audience in mind) and alphabetized into headings, subheadings, and/or cross-references, along with their respective page numbers. Finally, the entries will be combined and organized into a comprehensive directory. I will construct your index in accordance with the Chicago Manual of Style, or the agreed upon style guide. 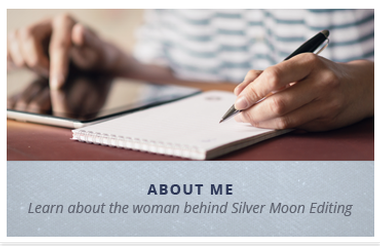 Silver Moon Editing and Retaining Your Voice & Refining Your Prose are registered trademarks of Silver Moon, LLC. © Copyright 2018-2019 Silver Moon, LLC. All rights reserved.